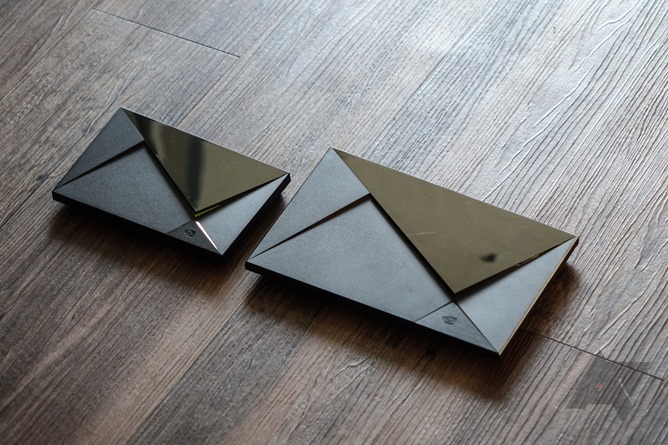 Nvidia's SHIELD (not to be confused with the SHIELD Portable or SHIELD Tablet) is probably the best Android TV box on the market, and definitely the best when it comes to 4K content. Now the SHIELD supports playing 4K movies and TV shows from Google Play Movies. It's a bit strange that it didn't support 4K Play Movies playback before, especially considering the $69 Chromecast Ultra launched with the feature late last year. Better late than never, right? 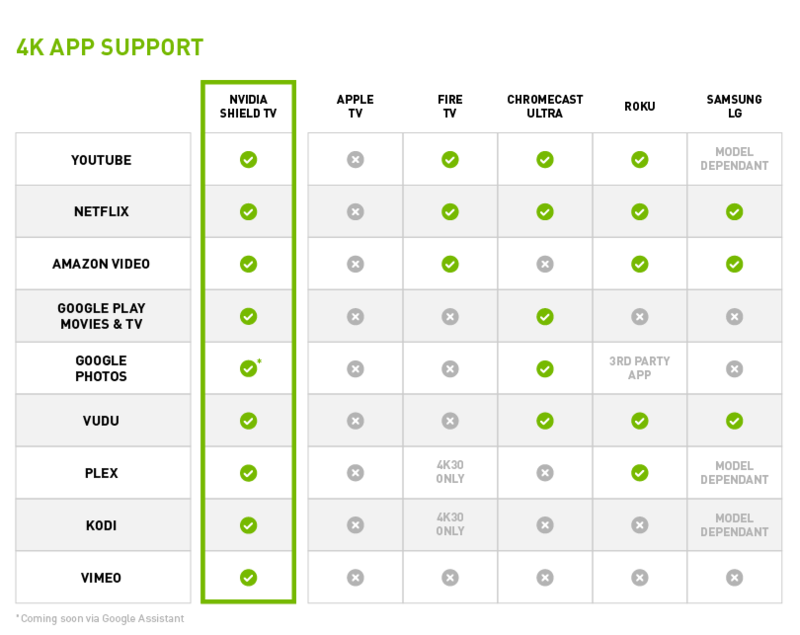 NVIDIA provided this chart to brag about how awesome the SHIELD is. In addition to using the Android TV app for Google Play Movies, you should also now be able to cast Play Movies from your phone at 4K. This new functionality should be available to both the 2015 and 2017 SHIELDs, since they're almost identical from a hardware perspective.